The first episode of Black Mirror Season 4 comes out of the gate swinging, and is already dominating conversations. The episode is called USS Callister, aka, the Star Trek episode, but it is much more than just a parody of the iconic sci-fi series. like Star Trek, it tells the story of a frustrated and petty programmer, played by Jesse Plemons (Breaking Bad), who imprisons those he feels have wronged him in a virtual game world. The longest episode of the season, USS Callister creates multiple realities that come together to tackle not just a journey of the bullied becoming the bully, but an overall climate that has become incredibly toxic, aka, today's nerd culture. There is a lot going on in the episode, so it's easy to miss a few of the A-list cameos hidden within the first episode of Black Mirror Season 4. 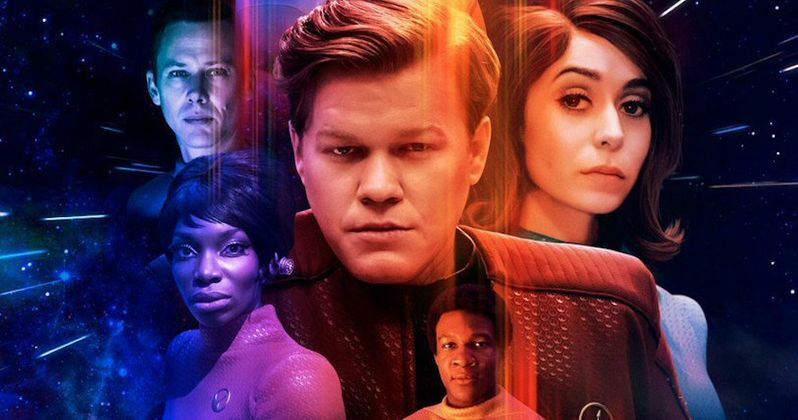 Jesse Plemons stars in the USS Callister episode and he brought along a familiar voice from his Breaking Bad days. Aaron Paul makes a voice cameo towards the end of the episode, after Milioti's crew takes command of the USS Callister and reach the open internet, they get pestered by Paul's distinctive voice. The cameo is pretty easy to spot since Aaron Paul's voice is so easy to recognize for fans of Breaking Bad. Jesse Plemons' brought along another person close to him to have a cameo as well. This time around it's his fiancé and Fargo co-star, Kirsten Dunst. Dunst can briefly be seen during the scene in which the stars are at the real-life Callister Technology Company, which is the inspiration for Plemons' ship in his Space Fleet simulation. Both cameos are blink-and-you-miss-them, but worthy nonetheless. Black Mirror episodes invite comparison to the real-life excesses, and dangers, of the tech world; prior entries, like Season 2's The Waldo Moment and White Bear, seemed outlandish when they debuted but intensely realistic now. USS Callister is darkly funny and surreal. But it's also a knowing satire of the male power fantasy that's been playing out online since the dawn of the internet, and that seemed to go from bad to worse in 2017. As anyone knows, anyone can say or do pretty much anything they want anonymously online, leading to the rise of the internet troll. Black Mirror Season 4 is off to a great start and already has people talking and thinking, just like previous seasons. However, the USS Callister episode is notable for the Jesse Plemons connection cameos. Give the episode another spin and look out for Kirsten Dunst and Aaron Paul's voice and admire how well done the episode is. It's over an hour long and it doesn't let up. There's plenty of further Easter Eggs for online culture as well as competitive gaming as well. You can check out the new season of Black Mirror via Netflix.com.